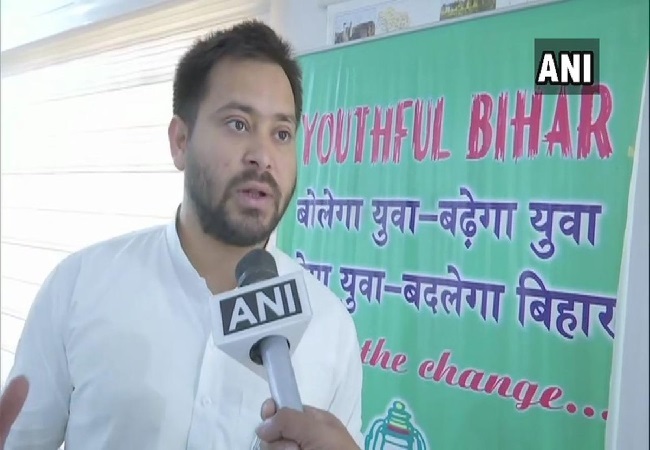 Patna (Bihar) [India], April 18 (ANI): Rashtriya Janata Dal (RJD) leader Tejashwi Yadav on Thursday called Prime Minister Narendra Modi a 'fake backward' person and accused him of doing nothing for Other Backward Class (OBC). New Delhi (India), Apr 16 (ANI): RJD leader Tejashwi Yadav said that if his father Lalu Prasad Yadav had joined hands with BJP, then the alleged "fodder scam" would have been converted into "brotherhood scam" within two minutes. 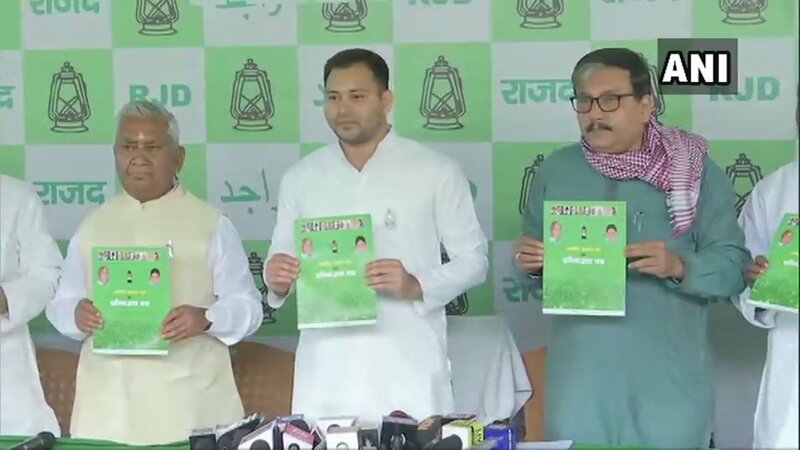 Patna (Bihar) [India], Apr 8 (ANI): Rashtriya Janata Dal (RJD) leader Tejashwi Yadav on Monday released the party's poll manifesto which promises reservation to Dalits and backward classes on the basis of their population, besides a job quota in the private sector. 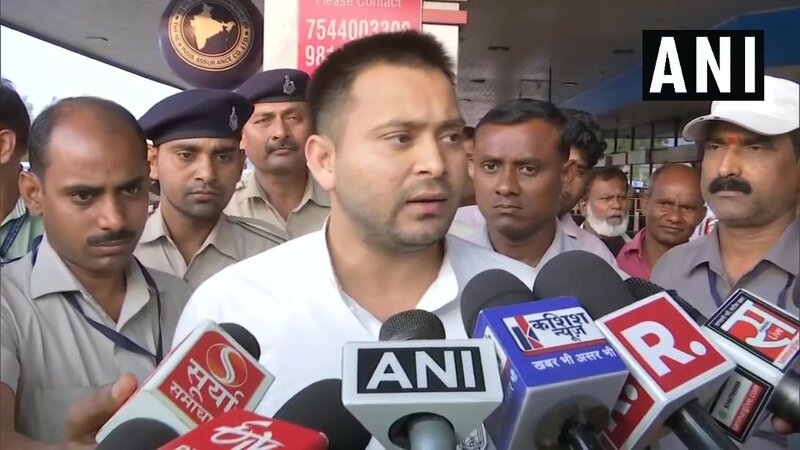 Ranchi (Jharkhand) [India], Apr 7 (ANI): RJD leader Tejashwi Yadav on Sunday alleged that the BJP government did not allow him to meet his father Lalu Prasad who is presently admitted in the Rajendra Institute of Medical Sciences. 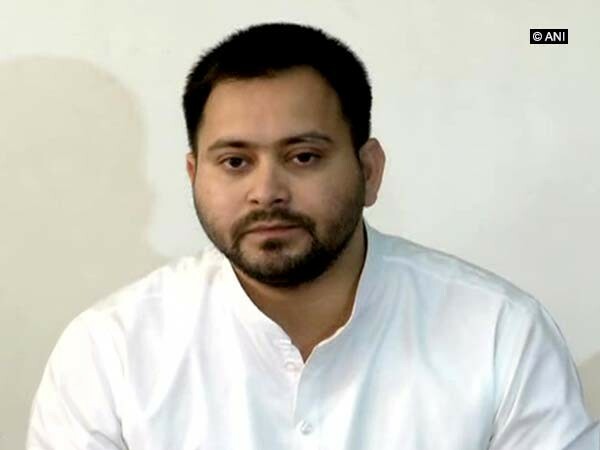 Ranchi (Jharkhand) [India], Apr 7 (ANI): RJD leader Tejashwi Yadav has alleged that the BJP government has not allowed him to meet his father and RJD supremo Lalu Prasad who is presently admitted in Rajendra Institute of Medical Sciences. 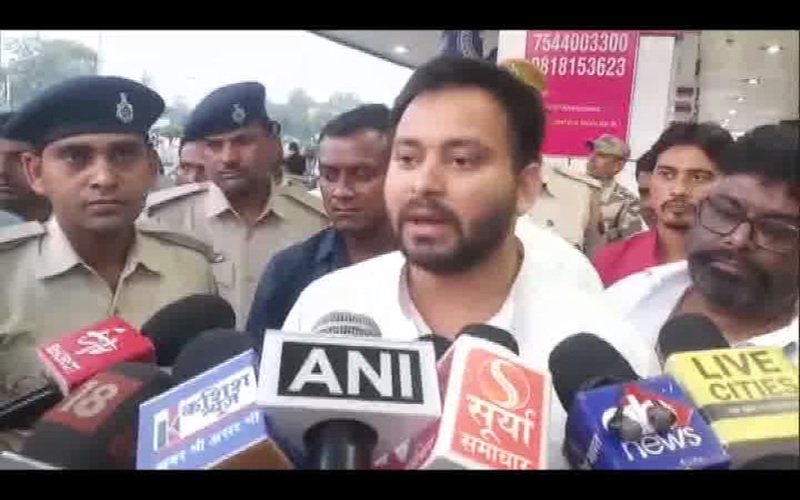 Patna (Bihar) [India], Apr 5 (ANI): RJD leader Tejashwi Yadav on Thursday criticised the Nitish Kumar-led Bihar government for not maintaining the law and order situation in the state and said that it looks like 'Rakshas Raj' has come to Bihar. Patna (Bihar) [India], April 4 (ANI): Lalu Prasad-led RJD has coined a slogan in Bhojpuri language "Kare ke Ba, Lade ke Ba, Jeete ke Ba" (we have to do, we have to fight, we have to win) for the ensuing Lok-Sabha elections. Patna (Bihar) [India], Apr 3 (ANI): Rashtriya Janata Dal (RJD) leader Tejashwi Yadav on Wednesday launching hit out at the BJP for not working for development of the nation. Patna (Bihar) [India], Mar 27 (ANI): Rashtriya Janata Dal leader Tejashwi Yadav on Wednesday claimed that the BJP is afraid of facing public as it did not fulfill the promises made in the last general elections.